In the face of unbearable conditions, many people still have an astonishing urge to create. Our Rising From the Ashes program on Tuesday May 7th at 7:30pm will explore human creativity in the shadow of cruelty, including examples of art produced in the Nazi death camps, African-American spirituals, and artistic responses to the Cambodian genocide. The program will be presented by Glencoe resident Barbara Javore, who has a Ph.D in religious education from Garrett-Evangelical Theological Seminary and is director of children’s and youth ministry at North Shore United Methodist Church. Did you know that nearly 8000 people attended library programs in our last fiscal year that ended on February 28th? We also loaned over 210,000 books, DVDs and CDs, and answered over 45,000 reference questions (5.2 per resident). These facts and more can be found in our newly published Annual Report, available online or in print at the library. Thanks to everyone for making it a busy year! Fifty years ago, the last train on the North Shore Line rolled through town, leaving only the Northwestern line to serve Glencoe. 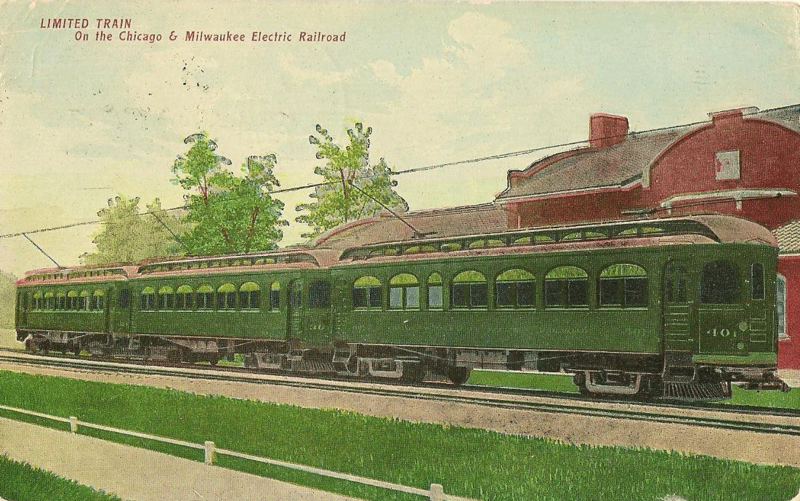 Train and local history enthusiasts will want to be sure to attend our Sunday, April 28th at 2pm program about the formation of both lines and how they served Glencoe, with emphasis on the North Shore Line. Maps, timetables, and photographs of the trains will be part of the discussion. Co-sponsored with the Glencoe Historical Society, this program will be presented by interurban train buff and GHS board member Barney Berlin. Spend the evening of Tuesday, April 16th with Chef Michael Maddox and add some recipes to your family favorites. Michael will make some delicious and healthy alternatives including smoothies, snacks, Asian shrimp slaw salad and nut crusted pork tenderloin. 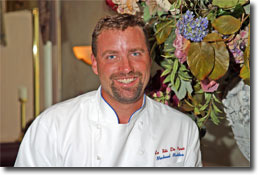 A 2009 James Beard nominee for Midwest Best Chef of the Year, Mr. Maddox served as chef de la cuisine of Le Titi de Paris from 1993–2012. The program begins at 7:00 - reservations are not required! We've got another great sensory storytime coming up on Saturday, April 13th at 10:45 am. Children of all abilities and their siblings are invited to join us for this inclusive storytime program. Led by two play specialists, families can join us for an hour-long program filled with stories, music, rhymes, and playtime. Registration is required so please call and guarantee your spot! The program is for children ages 3-8 with parent or caregiver. The Friends of the Library are once again sponsoring a fantastic classical music concert at the library. The concert takes place on Sunday, April 14th and features the Guadagnini String Quartet (David Taylor, Cornelius Chiu, Violins; Rami Solomonow Viola; Gary Stucka Cello). The library will close at 4:00 and will reopen at 4:30 for concert seating. As always, the concert is free. Interested in writing memoir - for family, friends, a larger audience, or just yourself? Award winning writers Sharon and Steve Fiffer will lead four This Is Your Life workshops in April to help you get started or to shape and refine a current endeavor. Each of the 90-minute sessions will focus on a different aspect of writing memoir: memory, context, perspective, and style. In-class activities will include writing and workshopping in a safe, supportive environment and critiques with the Fiffers. This is not a how to-get published workshop, but the Fiffers will share their experiences in the publishing world. The program will meet at 7:00 on Mondays from April 8 - April 29 and you should sign up by Friday, April 5th. Registration is required; please call the library at (847) 835-5056 to sign up. If the number of registrants exceeds class capacity, priority will be given to Glencoe residents.